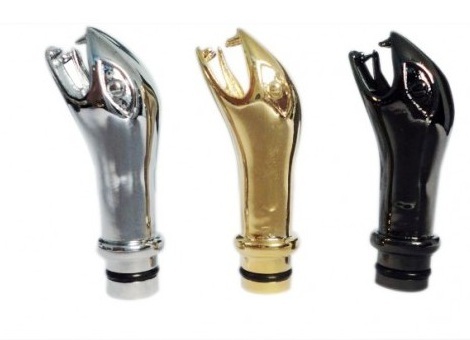 eGo plastic drip tip type A eGo drip tips, suitable for Joye510 and DSE901 e-cigarette with a large dripping hole, enable you to drip without removing the tip ! Dripping the e-liquid directly on the atomizer you will get more vapours and better performance . Color of the drip tip is black and B type . Price refers to one piece . 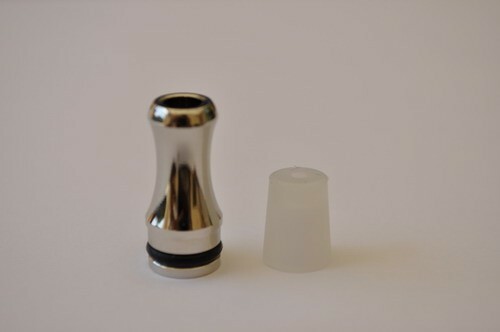 eGo plastic drip tip type B eGo drip tips, suitable for Joye510 and DSE901 e-cigarette with a large dripping hole, enable you to drip without removing the tip ! Dripping the e-liquid directly on the atomizer you will get more vapours and better performance . Color of the drip tip is black and B type . Price refers to one piece . 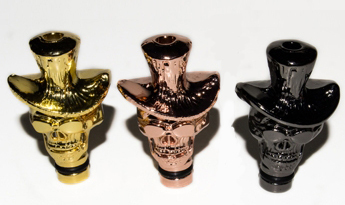 Skull 901/510 Metal Plated Drip Tips for electronic cigarette It is a very beautifull skull drip tip manufactured with very attention and well polyshed . It is round lathed , not molded being very elegant , shiny and out of common . 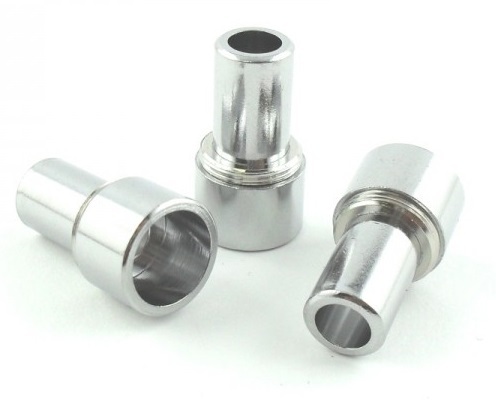 It it compatible with all 510/901/808 atomizers or cartomizers . ( DCT Tanks , Vivi nova ,Mini Vivi Nova etc... ) There are available more colors . The price refers to one piece . Snake Drip Tip for Electronic cigarettes ,atomizers,cartomizers , clearomizers . It is a very beautifull snake drip tip manufactured with very attention and well polyshed . It is round lathed , not molded being very elegant and out of common . It it compatible with almost all 510/901/808 atomizers or cartomizers . ( DCT Tanks , Vivi nova ,Mini Vivi Nova etc... ) There are available more colors . The price refers to one piece . Drip tip liquid chrome base. Compatible with all types of atomisers Vapo Vapo King and King v2. 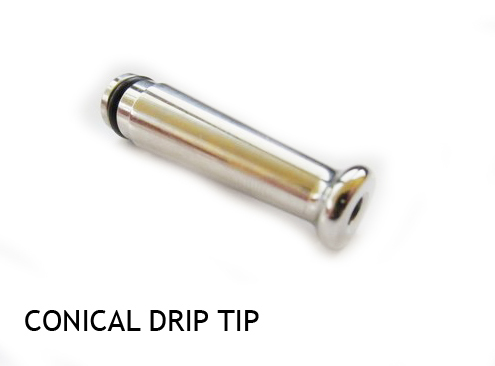 Using this drip tip you do not need to use cartridges because you can drip the liquid directly into the atomizer. Viper Drip Tip for 901/510 atomizers and apv's Our new Viper head drip tips are artfully designed, made of metal. 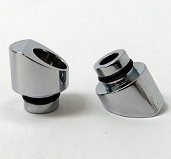 Fits most 510, 901, 808 cartomizers or atomizers. ( DCT Tanks , Vivi nova ,Mini Vivi Nova etc... ) Compliments any APV with style. If you're looking for something outside the norm, this is a nice option. It is round lathed , not molded being very elegant and out of common . There are available more colors . The price refers to one piece . Drip tip liquid chrome base. Compatible with Vapo King type B atomizer. Using this drip tip you do not need to use cartridges because you can drip the liquiddirectly into the atomizer.